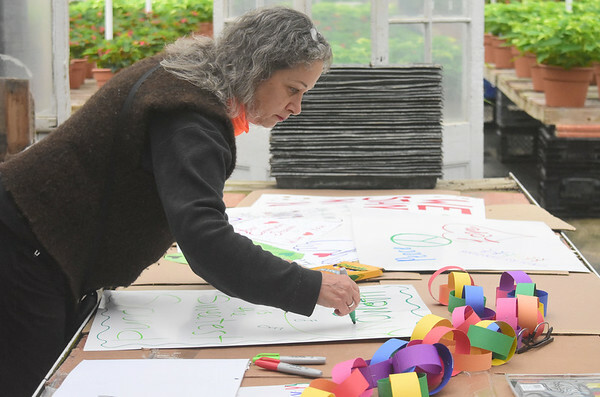 Artist Barbara May joined other volunteers who came together at the Mount Williams Greenhouses in North Adams for an afternoon of crafting, sign-making, and letter-writing to show members of Congregation Beth Israel support and hope following the tragedy in Pittsburgh. The decorations will be placed at the synagogue so that when members arrive to Saturday services, they will feel the community support in the form of "Love Graffiti," according to Veronica Bosley, who organized the event. Friday, November 2, 2018.